“Hey, you drive a lot of cars, what do you recommend?” That’s the number one question I get asked. And it’s certainly understandable. I don’t usually recommend vehicles because it’s just too subjective. And frankly, most of today’s vehicles are pretty darn good anyway. In the over populated mid-size SUV segment it seems as though every vehicle is as good as the next one. My tester for the week proves this point and has been consistently good in this segment for many years. 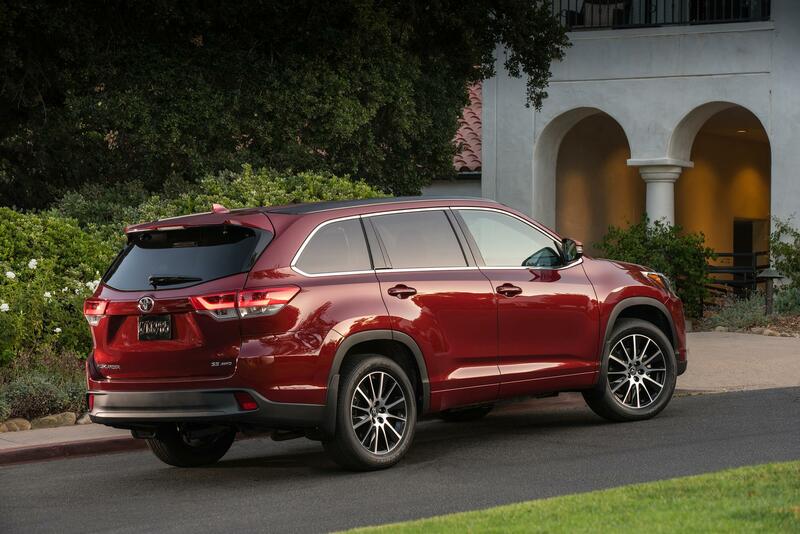 The 2017 Toyota Highlander is a seven-passenger, family-friendly SUV. It’s spectacularly unspectacular. That’s actually a compliment. To find flaws would be nitpicking, but that’s my job, so let’s get to it. 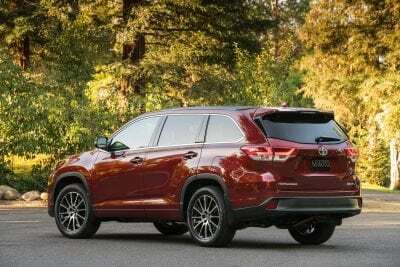 For 2017, the Highlander has updated looks. This isn’t a remodel, but a staying modern touch up that includes a new grille and LED taillights. The Highlander looks so much sleeker and more modern. The updated touch ups give it a chiseled, current look. 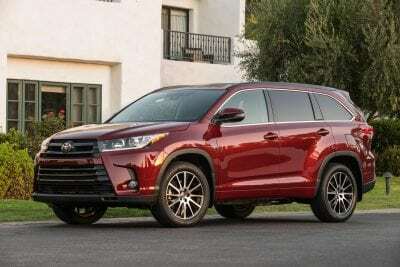 Kudos to the Toyota styling team for nailing the overall exterior aesthetics of this SUV and making the Highlander look like a new generation vehicle. The biggest criticism of the Highlander has always been its tame performance on the road. It often felt underpowered thanks to a 2.7-liter 4-cylinder engine. That engine is still available but for 2017, there’s a new 3.5-liter V6 that replaces an equally underwhelming six-cylinder. This new engine boosts the overall performance and output for this SUV to impressive levels. 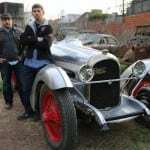 The 3.5-liter V6 produces 295 horses (the previous V6 only made 270). 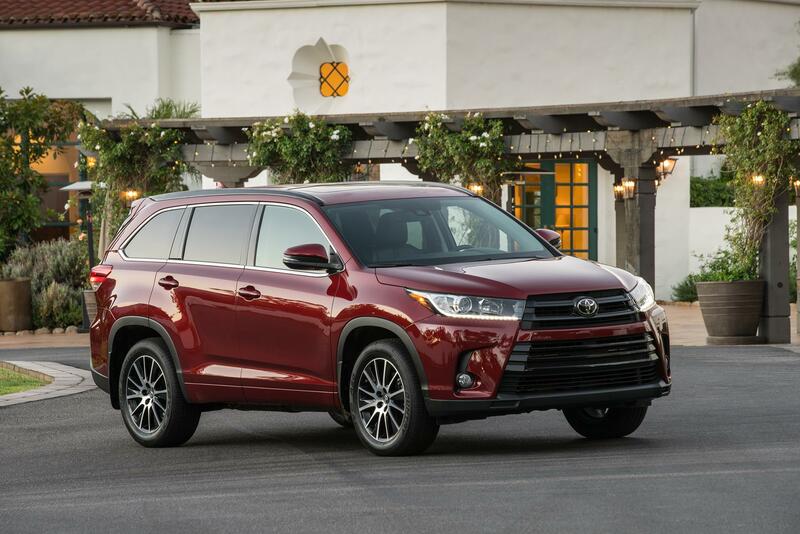 Behind the wheel, the Highlander feels more powerful, especially off the line. The new 8-speed automatic transmission is one of the best transmissions I’ve experienced this model year. The shifts are seamless and efficient. 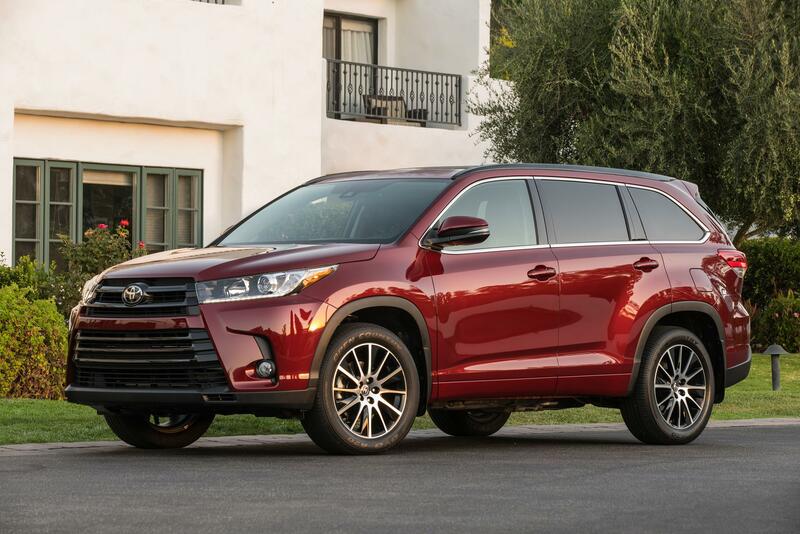 For an SUV of this length, the Highlander feels spry. 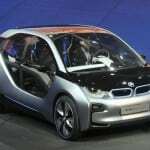 It has responsive steering and agile handling. This is an improvement over the last time I drove a Highlander which had dull steering response and felt big. 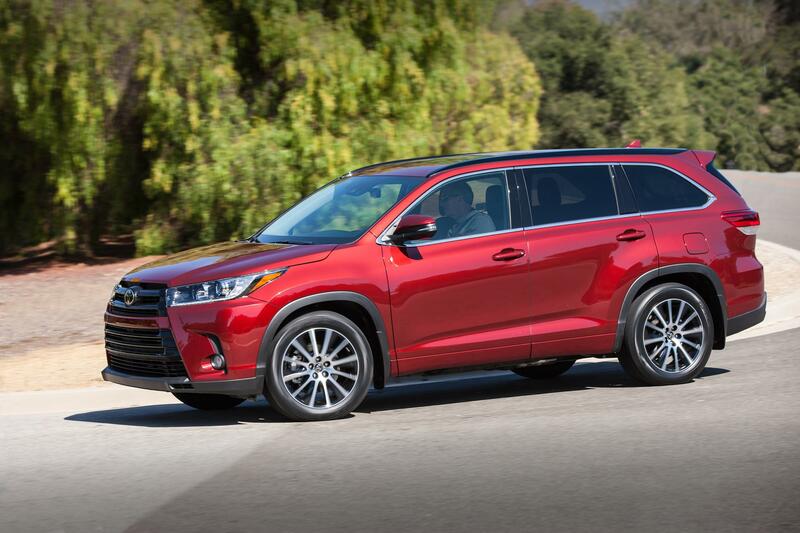 The Highlander now drives more like an SUV than a minivan, and that’s certainly a good thing. 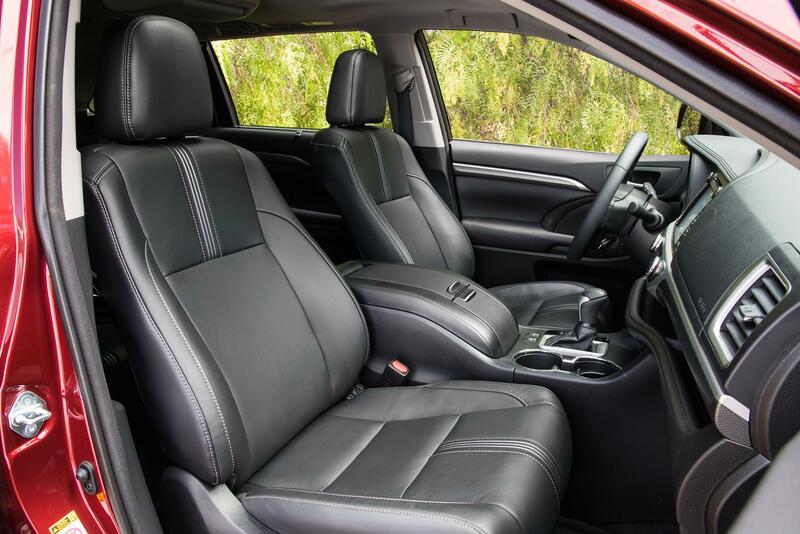 Inside, the Highlander boasts a tremendous amount of space. Some trims offer a second-row bench seat, that makes the Highlander an eight-passenger SUV. Although it’s ideally suited for the captain-style seats in the second row and seven-passenger capability. In this configuration, there’s ample leg, head and shoulder room in the second row. It would make for a comfortable, versatile family vehicle. The third-row seating area is best suited for children as adults would feel cramped and uncomfortable. Storage behind the third-row seats is average with 13.8 cubic feet of space. Fold the third-row flat and there’s 42.3 cubic feet. With all seats folded, there’s a maximum cargo area of 83.7 cubic feet. All of this average for the segment. 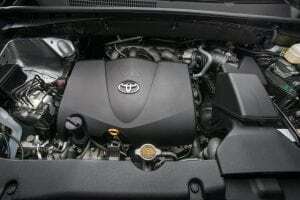 Toyota’s Entune system is perfectly adequate. Again, that’s not a criticism. 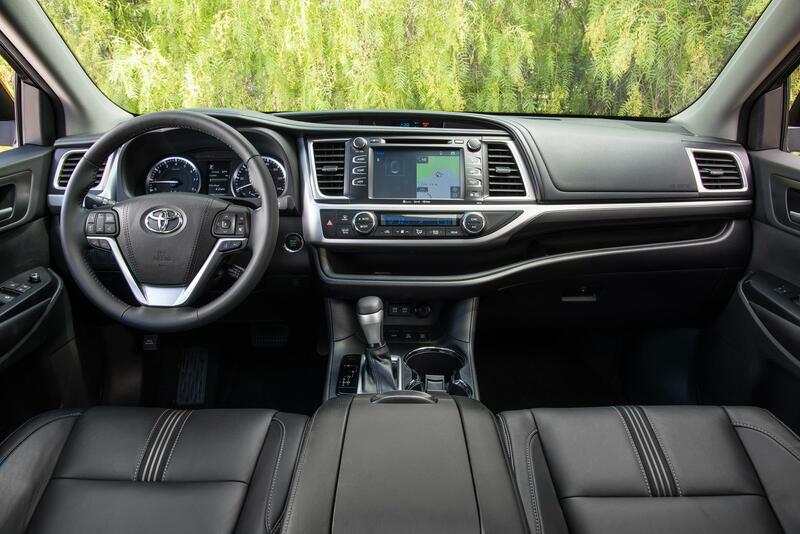 Today’s infotainment system can get mired down in too much technology, but Toyota finds the sweet spot with this intuitive system combining touch commands as well as knobs. The 8-inch touchscreen is responsive and well designed. Kudos again to Toyota engineers for not using the over-engineered and overly-complicated Lexus infotainment interface. As such, the Entune system integrates easily with both Apple and Android smart phones. There are five trims for the Highlander with the lowest trim LE starting as low as under $30,000. My tester was the top-of-the-line Limited Platinum with all-wheel drive. As such, this trim has a base price of $46,260. This trim has everything you could want from a non-luxury SUV. There panoramic sunroof is gigantic and lets a lot of light in. There’s a heated steering wheel (which is oh-so-nice this time of year) and the second-row seats are heated. This is a fantastic selling point for a non-luxury brand. My tester’s final MSRP was $47,634. 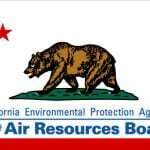 The AWD version of the Highlander has an EPA rating of 20 mpg/city and 26 mpg/highway. 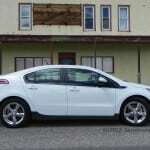 In a week’s worth of mostly suburban driving along with some miles on the highway, I averaged about 22 mpg. That’s average fuel economy for the segment, but felt like good enough fuel economy especially when you take into account the added power and performance. The 2017 Toyota Highlander is my favorite 7-passenger Toyota SUV thus far. It’s spacious, more powerful, but still gives a family everything they could need from a vehicle.